The weather through this week will be mostly stable across much of our continent as a powerful and persistent upper ridge / high pressure system develops and dominates our weather. Let us get into details on individual days. An upper ridge is located across western and southwestern Europe while a long-wave upper trough is moving across eastern Europe and the Balkan peninsula. Quite cold weather is being advected across central Europe, Balkan peninsula into the Mediterranean in the wake of the trough and surface cold front. High pressure system is expanding from western towards central Europe. The upper ridge and high pressure system are strengthening and spreading into central Europe while trough pushes towards western Russia. Its southern flank cuts off into far south Balkan peninsula and Mediterranean. 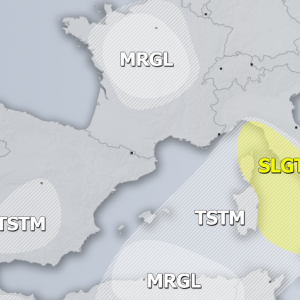 A secondary cyclone takes place over Greece and strong cold advection continues spreading into the region. Much warmer weather spreads into western and northern Europe, partly into central Europe as well. A strong upper ridge (omega blocking pattern) now dominates much of Europe, while an upper low is located over the Azores and another one over the southeastern Mediterranean. 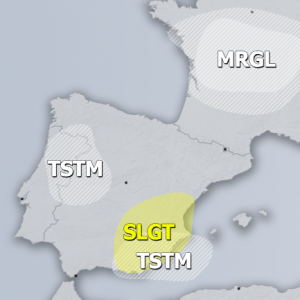 Unsettled weather is expected over these regions while stable and spring-like weather spreads across the rest of our continent. Very similar pattern as the day before as strong ridge dominates Europe. 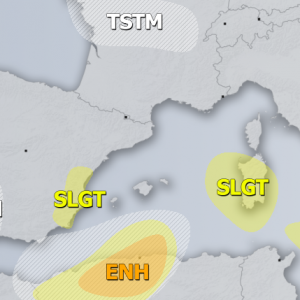 An upper low over the southeastern Mediterranean is gradually moving towards the Middle east, supporting convective activity. Very warm weather with temperatures more than 12 °C above normal develop into central and northern Europe. Cold weather remains over the southern Balkan peninsula and the south/southeast Mediterranean. On Saturday, a deep cyclone develops over the northern Atlantic and pushes towards western Europe. The upper ridge starts weakening while the deep trough/cyclone continues towards western Europe where it could potentially develop a windstorm into the British Isles and Ireland. Very warm weather continues across central Europe and most of the Balkan peninsula. Stable and warm weather ahead for much of the continent. Do keep in mind that some areas will be under strong temperature inversions and may experience less significantly warm or even relatively cold weather. Stay tuned for detailed outlooks on any interesting setups through the week.